A fragrant filling of garlic, onion and eggplant with just a hint of spice is created to fill these gorditas. Simply top with lettuce and salsa or let your imagine run free and use other toppings like cabbage, jalapenos or shredded carrot. Can’t get enough gordita goodness? Well then, try the Spicy Tofu Gorditas as well. Place eggplant in a colander and sprinkle with salt. Let stand at least 15 minutes to extract the bitter juices. Rinse or pat with a paper towel to rid the brown liquid. In a large saucepan heat oil on medium heat. Add onion and sauté until translucent. 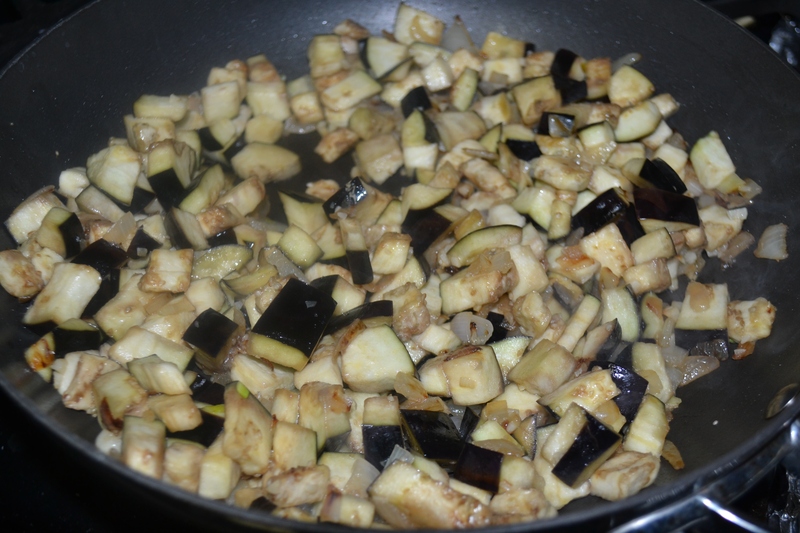 Add eggplant and continue cooking until eggplant softens. Next toss in garlic and cook for an additional minute until garlic is fragrant. Sprinkle with cumin, chile flakes and salt. Turn off heat. In a medium bowl mix masa (or masa harina) according to package to make a smooth dough. Divide dough into golf-sized balls (or a little bit bigger). Using the palm of your hand or a tortilla press, flatten out dough into ¼ inchish thick discs. Heat griddle or non-stick pan on medium-high heat. 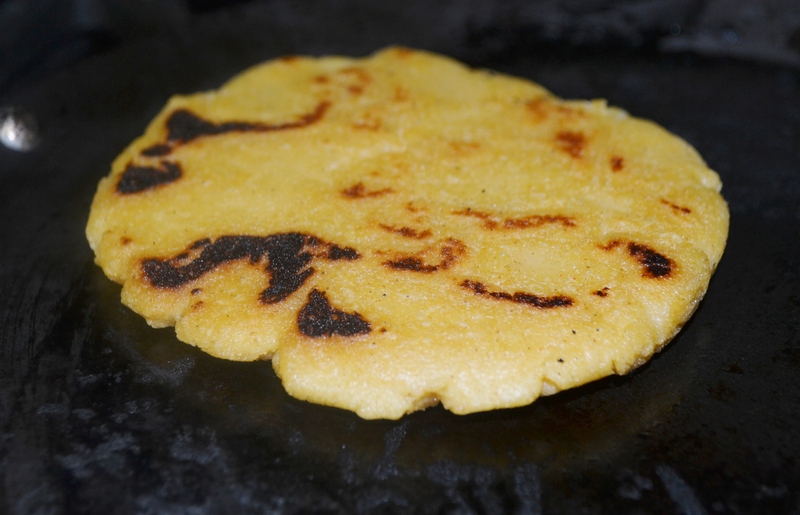 Place gordita discs on griddle and cook until it begins to char. 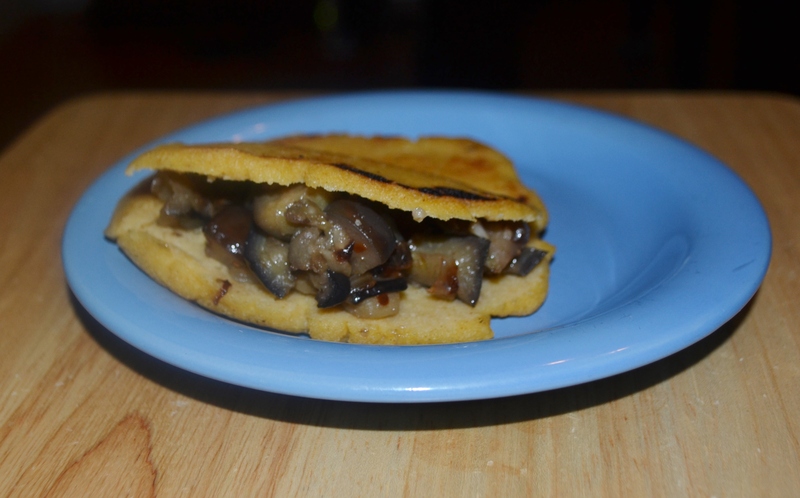 Flip and cook until a nice crust is developed and gordita is cooked through. Take off griddle and let cool slightly. 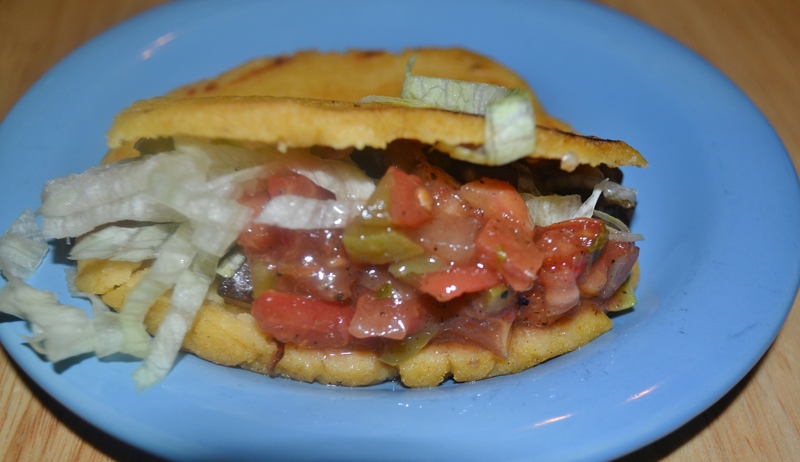 Using a sharp knife cut a slit lengthwise into the gordita shell to split open. Fill with the eggplant mixture. Top with lettuce and salsa.